I confessed the day the Ockham NZ Book Award short lists came out I had not read this book as it felt too close to something I had in my head. Truth is I have finished a draft that I am leaving for a decent period of time before lifting it into something that works. The link with my starting point is tenuous. But it loomed large at the time. Roger’s new collection comes out of walking. Walking in the physical world, walking through books, ideas, memory. Each section is prefaced by the biggest stack of quotations I have seen in ages in a poetry book. If ever! – when I think further. It means there are two different reading approaches at work here. You can go shopping within the quotes and find the ones that stick. Like a little reading map for the reader pedestrian. The sources are eclectic. Surprising. Then there is the poetry, and this is infused with the way age changes things. For some poets, it prompts a new alertness to the world, to what matters. Roger is absorbing the world as he walks and leaving shiny traces of it in the poems. For some poets, age is the body changing, under threat, slower. Death seems closer. Death seems to push and nudge the poems and make itself felt. For Roger, it is there in a health scare, in the passing of loved ones. Mostly the poems are made of long lines in thick stanzas and generate the fluency of walking. One poem, ‘One Hundred Descriptions,’ amasses aphorisms, miniature thoughts, like miniature steps. Throughout the book, as you meander and read, sidetrack and read, loiter and read, certain things leap out at you. Just like when you walk in the physical world and see the cat asleep in the flowerpot. What changes the poetry when death seems that little bit closer? With this collection it invigorates it. The ideas about self and writing and how we fit in the world. How we belong. How we make attachments. How we can use words to make shadows on the page like Plato’s cave. In his note at the back of the book, Roger talks about poetry. In my view, when I scan the decades of NZ poetry I have read, I believe poetry does anything and everything. It busts out of compartments. Not all poetry is preoccupied with self (Roger proposes much is), yet find me a poem where traces of the poet don’t flourish like tiny signatures (ah begone Barthes!). Tiny alluring signatures that reflect bias. Bias that snags on ideas, physical views, opinions, musicality, experience, poetic choices, subject preferences. This terrific poetry collection is like walking in the world because as you readwalk you feel invigorated, refreshed, and ready to write. Congratulations on a well deserved spot on the short list, Roger. This entry was posted in NZ author, NZ poetry, NZ poetry book, Uncategorized and tagged NZ Book Review, NZ Poetry review, ROGER HORROCKS, Victoria University Press on March 14, 2016 by Paula Green. 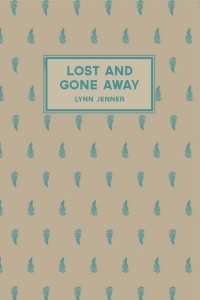 Lynn Jenner’s new book, Lost and Gone Away, is a terrific read, a challenging, thought-snapping, sidetracking, stalling read. A must read. The book, as the title suggests, navigates and stretches towards lost things. It is a hybrid work that started life as a doctoral thesis, and is in turn, poetry, prose, essay, memoir, and a smudging of genre to the point that it is unimportant where one genre begins and another ends. ‘Things’ matter but this is a work that places people at its white-hot core, and from here radiates missing memory, experience, time, place, events. The book is in four parts. Part One, ‘The ring story,’ pursues Lynn’s mother’s ring that went missing in the Christchurch earthquake. Part Two, ‘The panorama machine,’ is like a stream-of-conscious outflow of that which is lost. Part Three, ‘Point Last Seen,’ focuses on missing people. Part Four, ‘I ring the bell anyway,’ navigates The Holocaust.’ Writing becomes a way of reaching and tethering traces of what has gone. It is, and can only ever be, subjective, elusive, fleeting, partial. The generous white space that gives the text room to waver and shift heightens the allure of fragmentation — yet as you read you identify currents that link: the stream-of-consciousness movement, the concatenation of ideas. Lynn trawls eclectic places for material: books, anecdotes, conversations with strangers, conversations with friends, museums, personal experience, invented experience, inherited experience, dreams, white space. The thinking and writing process is guided by acute contemplation, critical thinking, doubt, self-defensiveness, thought drifts, accidents, discoveries, questions. As she searches for her way into and through knotty issues, she identifies approaches she connects with and those she does not (Michael King is a stand-out example of the latter). The pieces accumulate and build a thought mosaic as opposed to a thought fresco. Always there is a taut wire to the personal –no matter where thinking leads, no matter how distant in view of time and place, this is an intimate and utterly personal inquiry. For me, the book is a treasure chest of curious things, fascinating things — but it is not just a novelty box. This book takes you to essential human questions and reminds you that there is no singular response and no singular way to write your response. How do you face individual loss? How do you face national loss? How do you face the Holocaust? Global crimes against humanity? How do you write what you have not experienced? How do you listen to the voice that is other? A waterfall of questions. The questions stick but little pieces of the book adhere, indelible upon your skin. The suitcase. The empty chair. The man in the Jewish museum telling his story, over and over. Finding beautiful words in the work of a prolific but unknown poet and using them in a poem. A dream’s impact on reading and writing. The carriages. The Polish children. The way you may unwittingly leave traces at a high-pitched frequency that readers may unwittingly pick up. The way Sappho appears and reappears. Lost and Gone is an extraordinary read because it lays a gossamer net upon missing things and allows you to catch glimpses of what has gone, whether far from your life or close at hand. At work, and intensely present, is a mind foraging, delving, struggling, daring. Lynn is unafraid to venture upon unstable ground in order to follow her trains of thought — at times uncomfortable, at times surprising, always moving and shifting your point of view. This is a special book. This entry was posted in NZ author, NZ poetry, NZ poetry book and tagged Lynn Jenner, NZ Poetry review on December 15, 2015 by Paula Green. 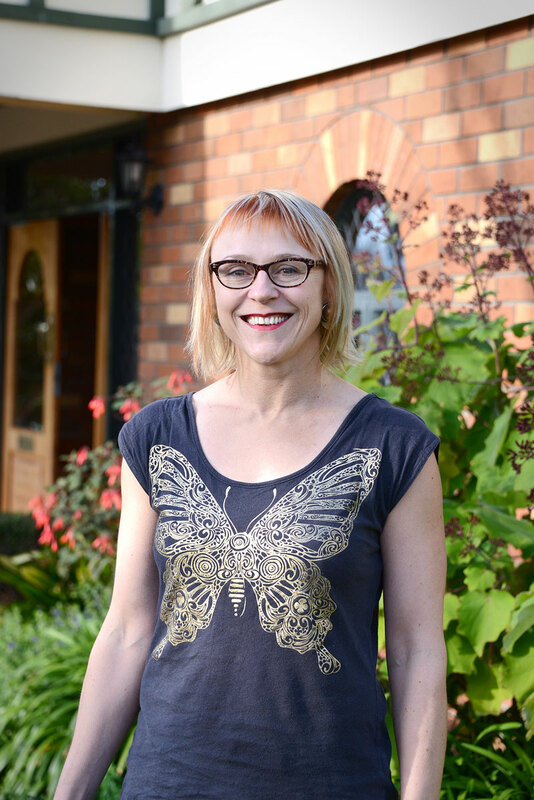 Johanna is a poet who was living in Palmerston North (quite a hub of poetry activity!) but currently in Iowa. 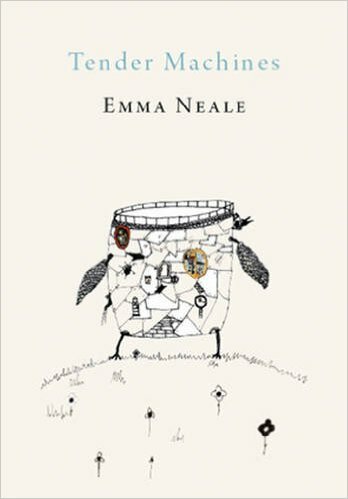 I haven’t read her debut chapbook from Pemmican Press, Oh My God I’m Flying (1991), but I really loved her second collection, Long Girl Ago (Victoria Press, 2007). The poems felt fresh, playful, finely crafted, and surprising in the little revelations, particularly in the poems that placed little frames on Japan. The book was shortlisted for best book of poetry the following year. Johanna’s new collection, Miss Dust, was recently released by Seraph Press. It is a collection in two parts with many bridges between, and the freshness, the economy and the diligent craft remain a vital feature. What catches me with these new poems is the heightened degree of surprise. This is poetry tilted on its axis. The first section is devoted to a sequence that gives life to Miss Dust. When read together, the section forms a long narrative poem, or perhaps you could say, a long character poem in pieces. In trying to liken the startling effect of reading this life, I came up with a hybrid analogy: it is like an Eleanor Rigby portrait meets a Salvador Dali painting meets a dislocating dream state meets a short film by Alison Maclean meets Edward Lear meets a veiled memoir. The idea of dust is ephemeral — it leaves traces and smears, it veils and it clouds. Perfect word for a character that hides behind tropes, white space and poetic jump cuts. The tropes are borderline surreal (‘The curtains of her house are ash’). At dinner with her online date, he ‘ordered for her the dark.’ Yet even though things are strange, it is the effect of the bridges and the gaps that augment the mood, the portrait, the arc of a life. Take ‘Miss Dust and the Affair.’ The little leaps from one thing to the next, from one action to the next, miss the gritty details that might pepper confession, exchanged story. The poem is mysterious and haunting, but if you lift out the stepping stones (that occur on other occasions throughout the book) you get a terrific story of love lost: affair kiss lips lines waves rocks cheeks. That story is the undercurrent of the poem, hiding in the dust. Miss Dust, herself, would sum up the undercurrent with two words (‘black heart’), words that crop up in a number of the poems. The movement between things is also surprising or disconcerting in the poems and feeds into the crucial threads of loss and love and life. In ‘Miss Dust makes a promise to her black heart,’ every line seems to offer a new twist — the way the dreaming mind takes the ordinary and then skews it to show a deep-seated feeling pulsing through. and a block of A4 refill. You can’t just read this poem and walk away. It holds you tight as Miss Dust walks into the beach scene and ‘lowers the plunger/ onto one more set of grounds.’ There is that jarring kink between the scene carved (hope, therapy, cure) that catapults the black heart to elsewhere and the chore of making coffee. For me, the word ‘grounds’ flicks and shifts. Yes, the coffee is ground (the daily chore/grind) but also, like the beach scene, ground is another place to lay down roots. To tend damaged roots. Soil, black like the black heart. A single word, and you can set up camp for hours. I don’t know of a sequence in New Zealand poetry quite like this (maybe I got whiffs of the early surrealness of Gregory O’Brien). Reading and lingering in the half light of Miss Dust, is utterly moving as you fall between the gaps of her life. The second half of the book is not Miss Dust but there is a similar degree of surprise, little echoes that seem familiar (the half house), the dislocating and then relocating pieces, the way nouns and verbs startle (‘I’m starting to skin your loneliness Miss Shoulder’). There is a stunning Japanese poem, ‘Jun,’ that pulls you back to the previous collection with its final, breathtaking stanza. Johanna has delivered a new collection that never lets the dust settle (excuse the pun). Each poem reproduces a glorious jittery, shimmery movement between things, between actions and between things and actions. At the core of that movement: feeling. Yes, you enter a world that is, at times, a little like the bewildering jumps and turns of a dreamscape, but just as with the dream, you fall upon cores of truth. Simple, everyday cores of truth that have as much to do with how you feel the world as how you see the world. I loved this collection. 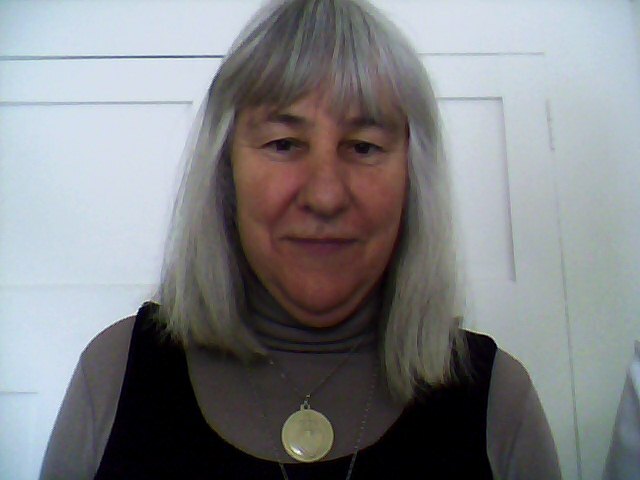 This entry was posted in NZ author, NZ poetry, NZ poetry, NZ poetry book, nz poetry review, Poetry and tagged Johanna Aitchison, NZ Poetry review, Seraph Press on October 1, 2015 by Paula Green. This is a gorgeous looking pocket book of poetry that feels good snug in your palm. 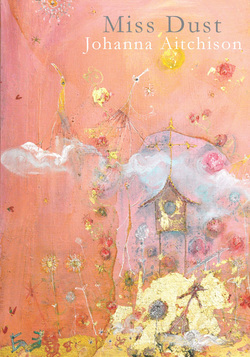 It includes artwork by Pauline Canlas Wu and Darren Canlas Wu’s musical score of one of the poems. The poems serve disconnections and connections on people, place, politics, the weather, and love. There is a glorious marriage of lyricism, musing, image building that has anchors in numerous legacies (language poetry, myth, diverse lexicons). It is the language that prompts such evocative and delicious poetic sparks. Unlike many poets, Vaughan has not switched on the big-word filter — so the vocabulary is arcane and arching as much as it is everyday and accessible. I love that. It is like this palmful of poems is part rap, ragtime, jamming, spooling, riffs, sweet chords, minor keys, jump cuts, out-takes, in takes, double backs and so on. The playfulness is also there in the visual choices as words stutter and stretch and take diagonal turns. Whiffs of concrete poetry, language poetry abound, but you can’t simply reduce these poems to sumptuous word play. You might get led anywhere visually and aurally. 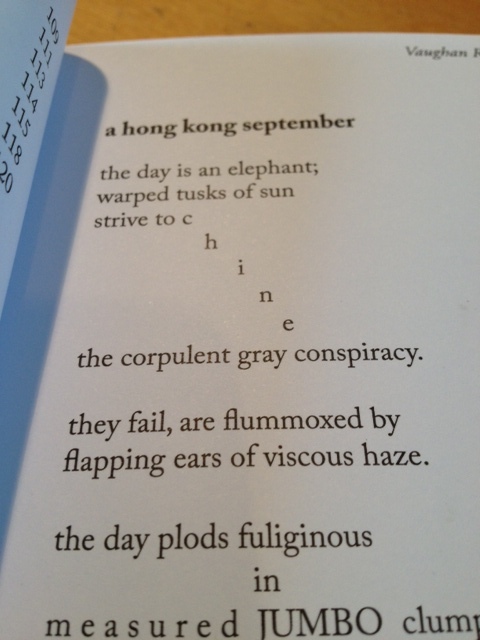 An elephant trope replays Hong Kong. A Māori myth sets up shop in a Chinese context. Cantonese, Māori, and French interrupt and feed the English. You might feel like you are in the company of poetic cousins at times: Janet Charman, Jack Ross, Michele Leggott, Sam Sampson, Roger Horrocks, Leigh Davis, Steven Touissant. There are philosophical traces and political barbs. Musical hooks. Self confession. Concealment. This book is an utter delight. Vaughan Rapatahana (Te Atiawa, Ngāti Te Whiti) lives in Hong Kong with homes in Philippines and New Zealand. This is his fourth collection of poetry. He has a Doctorate from the University of Auckland, has won several awards and has published in a variety of genres. He is the co-editor of Why English? Confronting the Hydra (Multilingual Matters, UK), a follow up to English Language as Hydra (2012). 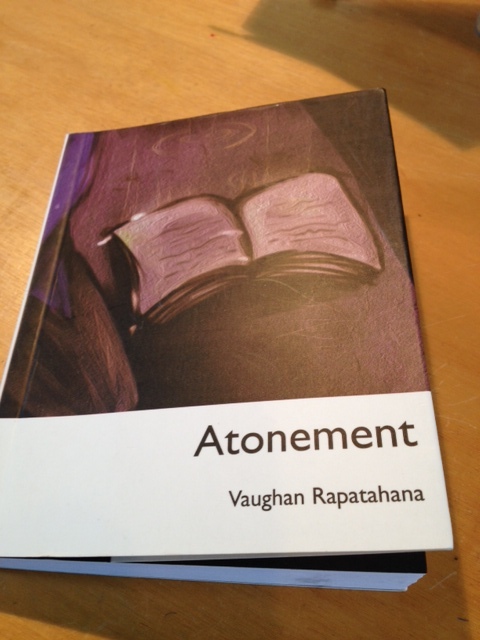 This entry was posted in NZ author, NZ poetry, NZ poetry, NZ poetry book, nz poetry review, Poetry and tagged NZ Poetry review, Vaughan rapatahana on August 9, 2015 by Paula Green. Last year I posted a poem from Kerrin P Sharpe’s new poetry collection, There’s a Medical Name for This. Finally, after all this time, I have picked up the book to reread and review. It is an astonishing book that lurked in the undergrowth of my thoughts for months with its sachets of strangeness, enigma, acute realness. Just casting your eye down the poem titles is poetry pleasure. Some collections house a poem or two that stand out, where the poet has transcended that which is good to become that which astonishes. In this book, I found countless examples that did that for me. Not in a flaming extravagant way but in ways that are at more of an alluring whisper. These poems are imbued with little droplets of incident, image, tension. Near the start of the book, a miniature earthquake poem, whose perfect line breaks punctuate the modicum of detail, the deft phrasing (‘the basilica is a waltz of stone’) and the way the final stanza sings you back to the title (‘when gerry thinks of angels he hears their wings’). Sometimes, oftentimes, the poems step into strangeness surrealness the point of becoming fable. There are no endnotes to provide author-led guy ropes into a poem so it is over to you where you step. ‘[T]here were stars behind him,’ a portrait of an elephant, shifts from an elephant in a photograph with Hemingway to ‘that year the elephant/ became a living lighthouse/ he wore a lamp/ and built a curved staircase.’ Magical. Or, in an even more captivating example (‘in the cart’), a mother, a pie cart, two hats and pastry come together in what might be a bedtime story, an heirloom anecdote, a housewifery lesson. These poems draw upon illness, fathers, mothers, sons, daughters, brothers, sisters, twins, snow, much snow, ponies, many ponies, birds and feathers. Whatever the subject matter, there is movement, and out of that movement vibrant, life. Characters (pilgrims, farmers, surgeons, whistlers, gondoliers) stroll though the poems and it seems to me they wear whiffs of the poet, autobiographical traces, and yet they are more than that. Anyone can occupy these shoes that are like little shoe-stories that get handed down and then tried on for size. They are also, and so often, like fairy tales that take you out of the tedium of daily grind and familiarity and transport you to the magic and mystery of otherness and magical possibility. The poems might have a local genesis but they reach out beyond to the faraway, to Russia, rice plantations, Antarctica. Here or there, everything is in debt to place and that attachment to ‘where’ is one that makes the poems matter (‘the small farmer remains place faithful/ to the dell’). Characters become a way of circulating stories, those traces of anecdote, a forward tang to elsewhere (a turbine// turns my father’). The procession of pilgrims throughout is the poetic glue that tenders physical bearings to an uplift of wonderment. We get to be the pilgrims of the poems. We get to feel the gap, the connections, the arrival at arm’s length. Some poems surprise in their shifting forms. ‘[S]on’ juxtaposes two definitions — the first stanza prosaic and dictionary-like, the second stanza exemplifying personal portrait as definition. The ‘half the story’ (I adore this poem!) is indeed half a story; it builds a list that builds narrative out of what you might call stream-of-conscious jump cuts. This is a collection of exquisite variety, yet these poems are a snug fit as though for all their differences, they are meant to be together. As I read, my favourite poem was replaced by the one I was currently reading, and then again, and then again. To read these poems is to be a pilgrim – tasting the sweet and sour bite of the land, feeling the lure of travel and elsewhere, entering the space between here and there that is utterly mysterious, facing a terrific moment of epiphany. This entry was posted in NZ poetry, NZ poetry book, NZ Poets and tagged Kerrin P Sharpe, NZ Poetry review, VUP on June 19, 2015 by Paula Green.